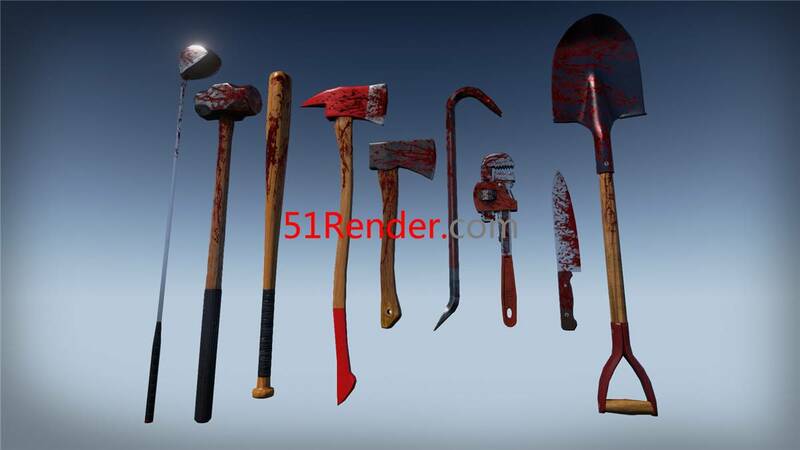 9 melee weapons for zombie games. Each weapon has bloody, old(or rusty) textures. 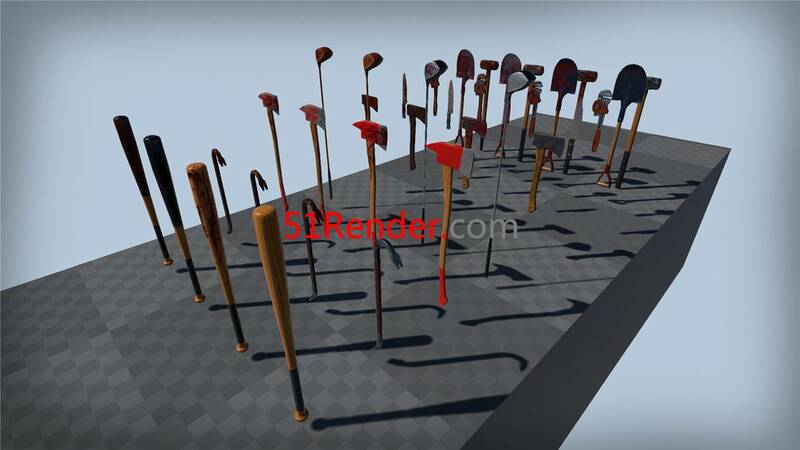 9 weapon models - Baseball bat, axe, crowbar, pipe wrench, sledgehammer, hatchet, knife, golf club, shovel. 208 - 1120 triangles per model with 2 LODs. 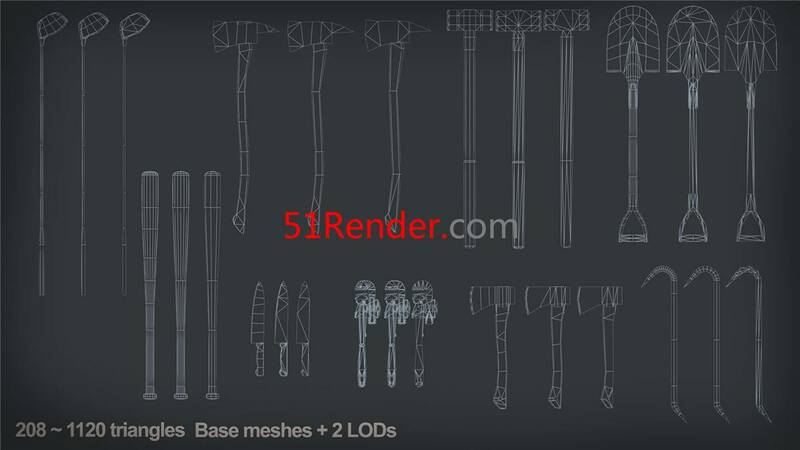 Base color, normal, roughness, metallic, ambient occlusion 2K textures. Including bloody, old(or rusty) textures.